The unique chemistry of The Band can be broadly sketched thus: Garth Hudson, the phantom of the opera; Robbie Robertson, the guitarist who channelled Hubert Sumlin; Rick Danko, a driven bassist and intense singer; Richard Manuel the tormented romantic; and then there was Levon Helm, who, of them all, offered uncomplicated pleasure. He was a Southerner in a group of Northerners, and not only served as a matchless drummer - and mandolin-player, because he was a gifted multi-instrumentalist - he was Robbie’s muse. Robertson was quick to follow Dylan’s lead of re-invention: Levon didn’t need to re-invent himself - he was the real deal. He stood out when The Band was a true collective - “One voice for all”, remember - before Robbie took the role of leader upon himself and started to monopolise the writing credits. Ah, but Levon made better solo records and was a better actor. It was faintly disturbing to see him as the frail old timer wanting to die in The Three Burials of Melquiadas Estrada. This, because the carnal whoop of 'Up On Cripple Creek' is still fresh, preserved forever in the amber of The Band, truly the Rock of Ages. Both as musician and actor the role he played went deep into the American grain. He was the Cracker who quit Dylan’s ’66 world tour because it upset him to be booed, which is understandable. But he came back to Big Pink when he was needed. 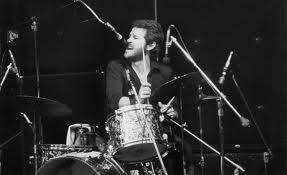 And Levon was the only Band member who wasn’t over-dubbed for The Last Waltz , and he held out against a guest slot for Neil Diamond, showing immaculate taste. He was the heartbeat of The Band. 0 Responses to "Levon Helm"